An intelligent building isn’t one with a computer: it’s a building so designed that the computer has little to do. All good design should allow air to pass through a building. This is especially true in Spain where for most of the year you will want the windows open and to be living inside / outside in those shaded areas that make life so enjoyable. Allowing hot air to escape through heat chimneys for example can be part of your passive cooling. Wind catchers, popular in hot dry climates, are another possibility. For some months in the year when it is either too cold or too hot you may want to close the doors and windows and in a well-designed and well-built house it will then be air tight. In these circumstances you will need fresh air introduced into the building. Mechanical ventilation can extract stale dirty air from the kitchen and bathroom and introduce clean filtered air into the bedrooms and living spaces. Breathing fresh air all the time is very comfortable. In the winter a heat recovery system will use the heat from the stale air you expel to warm the fresh air you impel. So you get to keep all the heat you have generated. In the summer the system works in reverse and you get to keep all the coolness you have generated. Mechanical ventilation systems consume electricity and these needs to be part of the energy balance plan when you decide where your energy is coming from renewable or non-renewable. 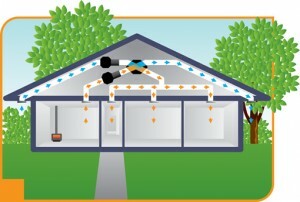 The energy savings on a heat recovery system far outweigh the energy consumed by the system. These systems work best when combined with a whole house design which includes insulation and passive heating and cooling elements. Some systems make a slight noise. An intelligent system will be flexible, ie allow each room to be managed independently and with simple on / off and timing controls. 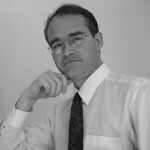 Bio: John is a founder of Eco Vida and is passionate about bringing modern design and construction practices to Spain. He believes a home which is warm in winter and cool in summer is largely a matter of design and selective use of materials. He is British and a Chartered Surveyor with 18 years experience living and working in Spain.